Last week my husband and I attended our county fair in Jackson County, Indiana. As we perused the exhibit buildings, I noticed many of the entries displayed in Ball canning jars. From being used as vases in the Horticulture Building to holding all manner of award-winning canned fruits and vegetables in the 4-H Building to being an exhibit itself in the Antiques Building, the Ball canning jar, in an array of colors and sizes, was prominently on display at the fair. Having grown up in rural Indiana, the familiar glass jar in both blue-green and clear and emblazoned with the Ball emblem, holds a fond place in my childhood memories. About this time every summer, the bounty of our large vegetable garden found its way into a plethora of these jars. Indiana, and that somehow the company was associated with Ball State University in Muncie, Indiana. 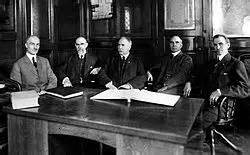 But living in the southern part of the state, some hundred and five miles south of Muncie, that was about the extent of my knowledge of the Ball Corporation. Curious to know more, I did some research. Turns out, the Ball family was not a “homegrown” Hoosier bunch as I’d assumed, but hailed from the state of New York. In 1880, Frank and Edmund, two of five brothers named Ball, borrowed two hundred dollars from their uncle to buy the Wooden Jacket Can Company in Buffalo, New York. The product manufactured at this facility held kerosene widely used in lamps at the time. However, acid used in refining the kerosene caused the tin can inside the wooden jacket to corrode. This problem prompted Frank and Edmund—now joined by brothers George, Lucius, and William—to switch from tin to glass for the jacket’s inserts, and voila, the Ball brothers were in the glass-making business. By 1884, their New York operation included both metal and glass works. When they learned that the patent on the Mason Improved fruit jar had expired, they saw an opportunity to expand their product line. They began manufacturing fruit jars in their glass works and the lids in their metal factory. Following a fire at their Buffalo, New York factory, the Balls looked to relocate. Needing a source of natural gas to fuel their glass works, they turned their sights to the Midwest and the Trenton Gas Field that spanned large parts of Ohio and central Indiana. Eventually, they settled on Muncie, Indiana, where they were offered free gas and plenty of land to rebuild their factory. In 1888, they filed a certificate of incorporation and began the Ball Glass Works of Muncie. 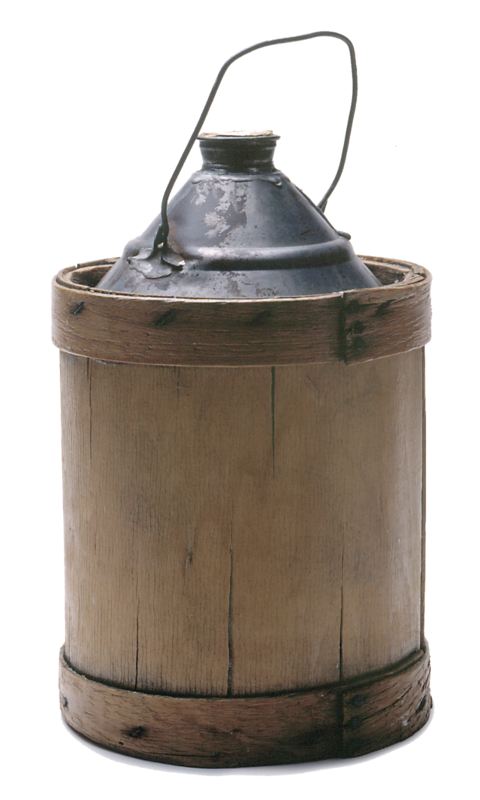 Interestingly, the first products produced there were coal oil (kerosene) containers and lamp chimneys, not canning jars. 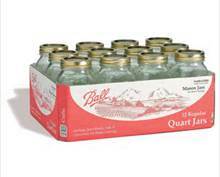 For the next ninety years the company remained under the Ball family control manufacturing not only canning jars and lids, but many other related products as well. 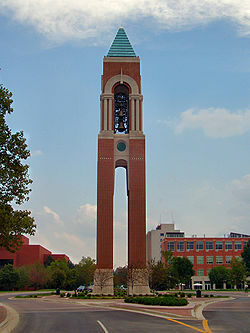 By the 1950’s the company had even begun producing goods and services for the aerospace industry; now a wholly owned subsidiary of Ball called “Ball Aerospace & Technologies Corp.
As for the company's connection with Ball State University in Muncie, Indiana; in 1917, the industrialist Ball brothers bought the Indiana Normal Institute out of foreclosure and it became part of the Indiana State Normal School. By 1922, the school had acquired the unofficial title of “Ball State” because of the close association it enjoyed with the canning jar moguls. That year, the Indiana legislature made the name official, renaming the school Ball State Teacher’s College. Ball’s glass production at the Muncie plant ceased in 1962 and the company headquarters moved to Broomfield, Colorado in 1998. The license to manufacture their fruit jar and lids is now owned by Jarden Home Brands. Still, the Ball canning jar will forever be linked to my home state of Indiana. And now that I know it’s history, whether it’s holding peaches, greenbeans, or nothing at all like the two blue-green vintage ones decorating the top of my kitchen cabinets, the humble Ball canning jar will hold a little more meaning for me. Do you have a special story or memory about canning or Ball canning jars? Please share it with us. 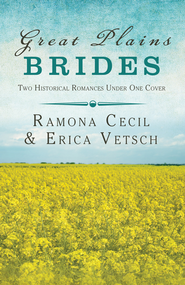 Ramona Cecil is a poet and award-winning author of historical fiction for the Christian market. 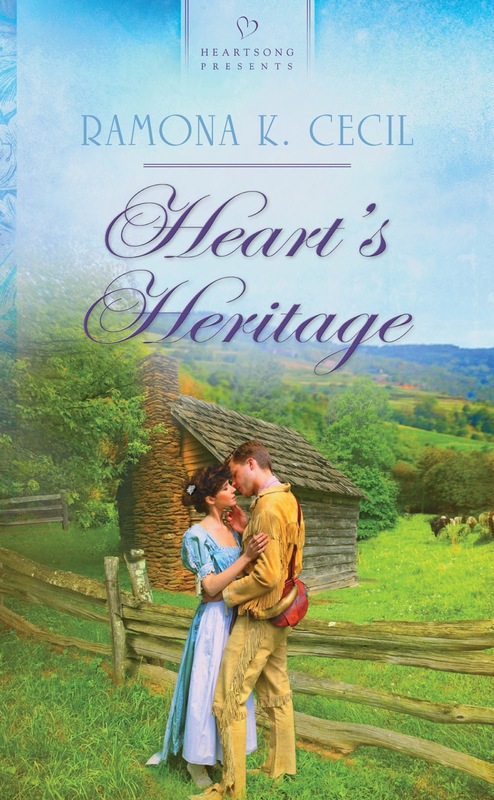 A proud Hoosier, she often sets her stories is her home state of Indiana. A very interesting post of Ball jars. Thank you so much. After a little research, you never know what you might find out! Thanks for sharing. 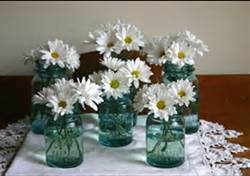 Thank you so much for sharing the history of these wonderful jars. I love them! Hi, Britney! So do I! :) I had no idea the company started by making containers for kerosene. Glad you enjoyed it! Hi, Winnie! I love the look and variety of those vintage jars, too. I didn't mention it in my blog, but I learned they not only made clear and aqua colored jars, but amber and even amethyst (lavender-colored) jars as well. Makes me want to look for some of those in jars at flea markets and antique shops. And, I cannot wait to share this with Mum! Hi, Jorie. I'm so glad you enjoyed the post. Give my regard to your mother. An interesting blog entry, Ramona! 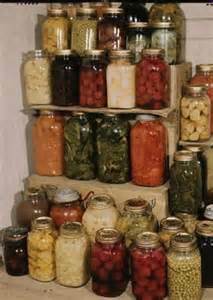 Like you - one of my childhood memories is preparing the food to be canned in those Ball jars, I grew up on a farm in Ky. - my parents have resided there for over 65 years.